Karst destroyed with approval of karst consultant. 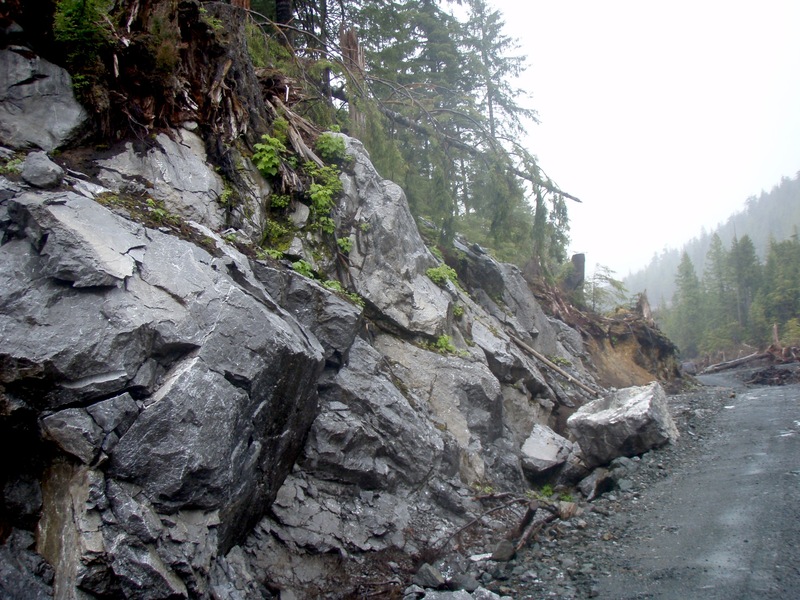 The protection of BC karst landscapes falls into a sort of legal limbo. There is only weak protection afforded through regulation, and only in some contexts. If a cave can be shown to have archaeological deposits, it can be afforded very strong protection under the Heritage Conservation Act. In theory, the HCA can also protect the cave if it has spiritual values to First Nations. Nonetheless, the practice of karst assessment is controlled by a small cabal of self-appointed experts. These folks make a living by doing impact assessments, mainly for forestry companies. The picture at the left shows the results, a magnificent karst bluff destroyed after the karst consultant wrote the area off – from an office 500 miles distant, based on notes provided by a forest company employee. In the report, archaeological values are dismissed from afar, doubly ridiculous since the karst consultant is notably ignorant about archaeology. When I visited this area, the destruction was appalling. Nonetheless, in short order, I found the cave pictured to the right, surrounded by logging and roadbuilding-induced windfall. 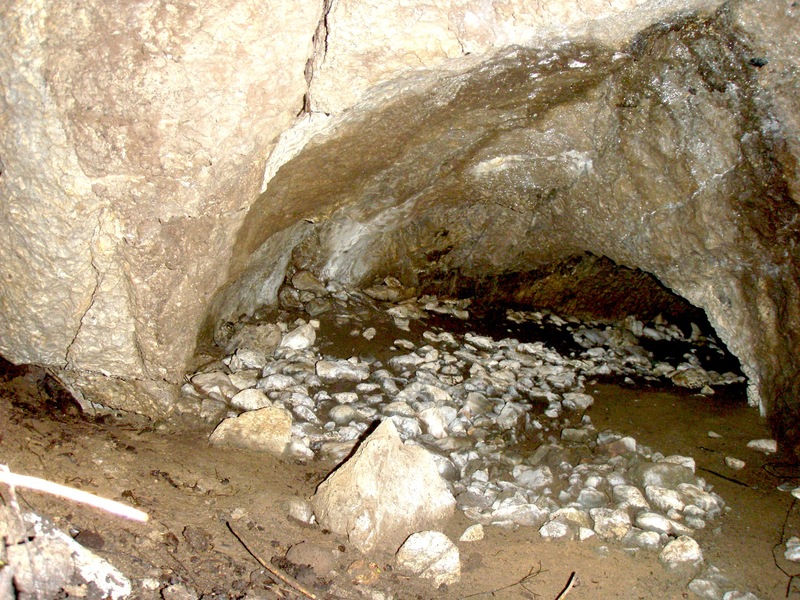 Cave found within 25 metres of road, within windfall area, subject to recent changes in sedimentation and hydrology. Damage zone approved by karst consultant from office 500 miles away. Such a cave, with its flat and dry pavement floor, has, in my experience extremely high potential for archaeology. And not just any archaeology, but sites of the very highest possible cultural and scientific significance. It is depressing to read the callous disregard in the report of the karst expert. Apparently these experts are in the business of managing the destruction of the karst landscape, not protecting it. Most bafflingly (or revealingly), they are currently on a crusade against archaeologists, whom they accuse of destroying information through carefully controlled excavation. Recent archaeological projects have discovered numerous sites of karst-expert approved destruction, such as the picture above. Archaeologists have also encountered numerous instances of karst enthusiasts who have recently pot-hunted in caves, causing significant, direct destruction to important paleontological deposits. So oblivious are these hobbyists that they readily admitted to vandalizing these sites! Yet the karst consultancy business continues to raise the red herring of the small scale archaeological research which has the potential to protect karst under the Heritage Conservation Act, and not the widespread destruction and damage caused by recreational cavers. Certainly, there is massive destruction which these self-appointed, unregulated experts allow, or even encourage, through their business practices. Without control of the karst consultancy business, these hypocrites would find they had no revenue – as it stands, their business model is to provide a fig leaf for development. In fact, if they were really interested in preservation of karst, not its destruction for their financial benefit, they would (a) encourage protection under the Heritage Conservation Act and (b) direct their attention to the recreational caver community before they come hunting archaeologists. But the former would require them to obtain archaeological permits before allowing destruction, and the latter would piss off their drinking buddies. As with many things in life, the moral is: follow the money. It leads directly from the mining and forestry companies of BC to the pockets of a very small group of karst consultants. I will shortly be arguing for a complete moratorium on all recreational caving in the province, and also continuing to call for all karst assessments to be done in person, on the ground. I will also be suggesting that all karst consultants must be accompanied by both a qualified professional archaeologist and a suitable representative of the First Nation within whose traditional territory the land falls. Nothing less will ensure the preservation of all the values associated with this precious resource. This entry was posted in Archaeology, Cultural Resource Management, Karst, Northwest Coast and tagged Archaeology, caves, CRM, Karst, mismanagement, Northwest Coast. Bookmark the permalink. I’m really surprised at the lack of conservation for the area. Thank you for your work.